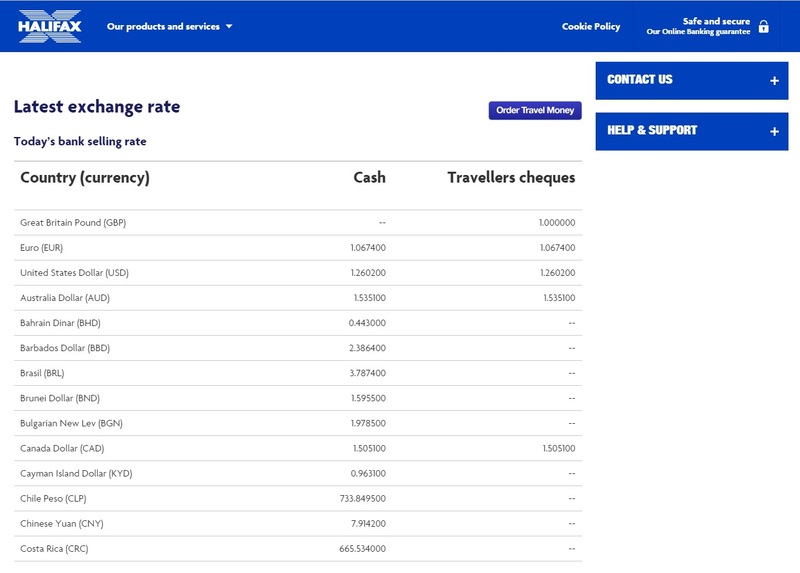 Earlier in the year I wrote an article about Bank exchange rates which featured the Natwest Exchange Rate and the RBS Exchange Rates and how to get a better deal for your holiday Travel Money online when compared with your bank. 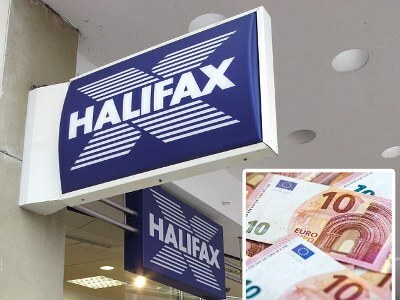 If you bank with the Halifax and you typically buy your Travel Money with the Halifax then you might like to compare the Halifax Exchange Rate with other Travel Money Companies before buying your Travel Money for your holiday. 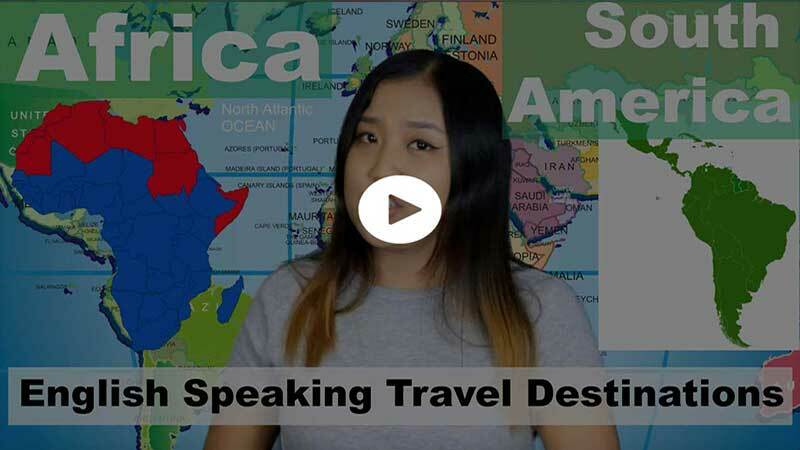 Typically, online Travel Money Companies offer more competitive Travel Money Exchange Rates which will enable you to get a better deal for your Travel Money and to ensure you get more Travel Money in your pocket for your holiday spending. 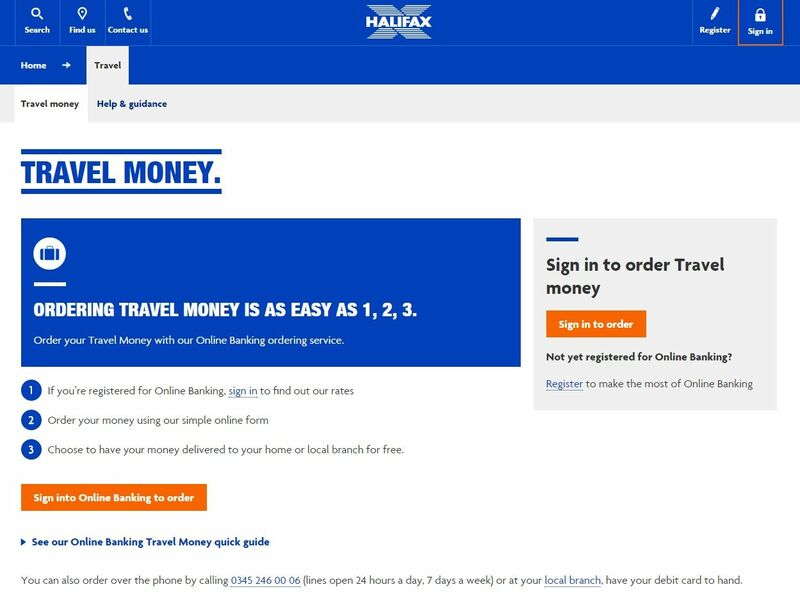 The only way you can view the Halifax Travel Money Exchange Rates is if you have an account with the Halifax bank and you are registered with the Halifax for online banking. Once logged into your Halifax online banking account you will be able to navigate to the Travel Money section of the site to see the Halifax Travel Money Exchange Rates under the link – See Our Latest Exchange Rates – which will present the following screen detailing the Latest Exchange Rate for all the different currencies against the Great British Pound from the Halifax on the day. Now, for example if you look at the Halifax Euro Exchange Rate it is 1.0674 as above which when converted with 1000 GBP it gets you in return 1067.40 Euros. 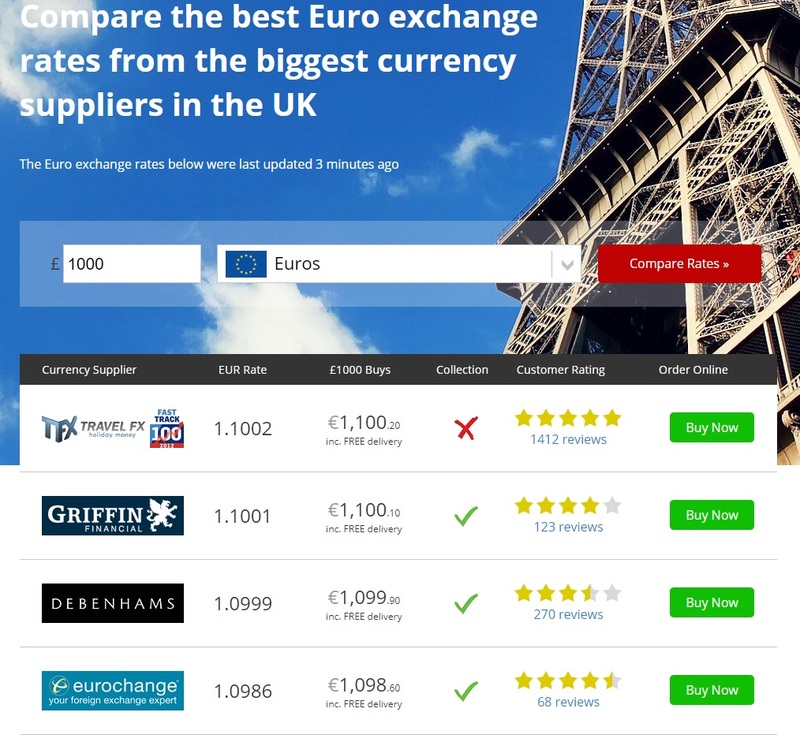 If we compare this other Travel Money Companies from our Euro Travel Money Comparison Table taken from the same day you will see that the Halifax Euro Exchange Rate is very poor in comparison. 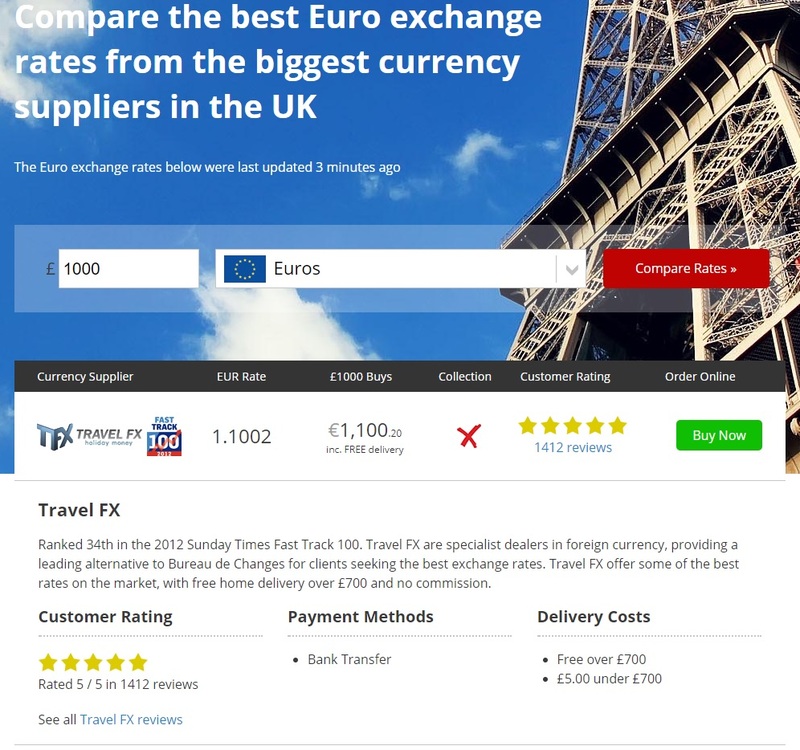 As you can see above the Travel FX Euro Exchange Rate is 1.1002 which when converted with 1000 GBP it gets you in return 1100.20 Euros which is an extra 32.80 Euros in your pocket with FREE Delivery to your home address providing you order over £700’s worth of Travel Money. In order to see the Delivery Costs from our online Travel Money Companies all you need to do is click on the company logo and our comparison table will present you with more information as follows. If you are looking for Travel Money more quickly especially on the high street then as you can see other online Travel Money Companies such as Debenhams, Eurochange and No1 Currency all offer some good exchange rates with Click and Collect available from their local branches which will still much better than buying your Travel Money from the Halifax based on this comparison. If none of these Travel Money Companies are in your local area then please check out our Click and Collect Travel Money comparison tool which will enable you to search with your local Post Code to find the Best Exchange Rates in your local area for last minute Travel Money purchases. However, if you have time then ordering from online Travel Money Companies will always allow you to get the Best Exchange Rate in advance rather than leaving it to the last minute. 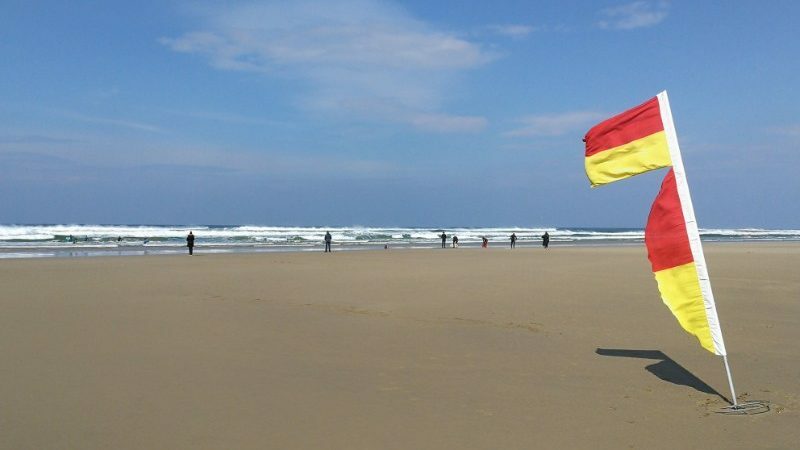 Our advice is to always buy your Travel Money in advance of at least one week to allow time for order processing and Royal Mail Special Delivery to your home address. 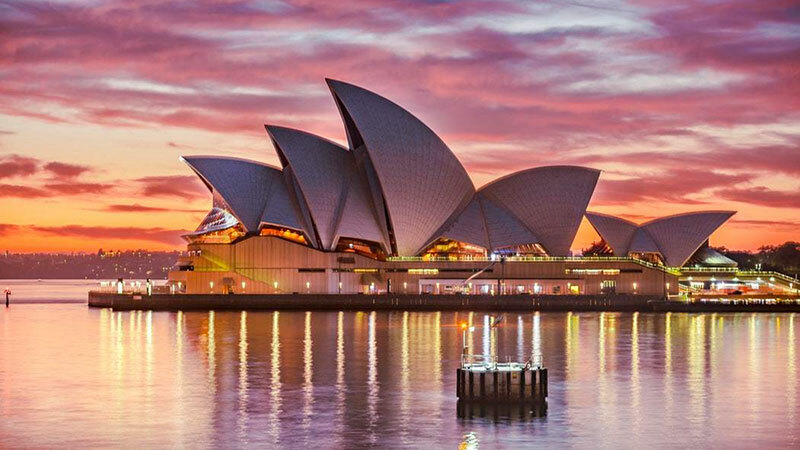 We very much hope that you found the Halifax Travel Money Exchange Rates Compared article useful and that it will help you get a better deal when you are looking to Buy Travel Money in the future. 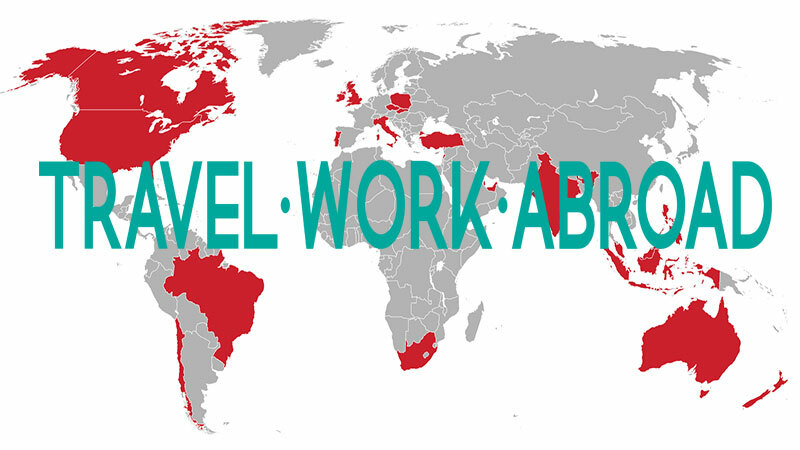 Please feel free to leave a comment below or to connect with us on Facebook, Twitter, LinkedIn or to even sign up to our Email Newsletter for future special offers from our Travel Money Companies.